There are several differences between insects and arachnids, and there are many similarities. First, both insects and arachnids have an exoskeleton. In humans, and all mammals, the skeleton is under the skin . While it is true that the skeleton of a human protects some vital organs, most of the skeleton is protected in turn by muscle and skin. In the case of arthropods, the skeleton It is on the outside of their bodies. Thus, the insect exoskeleton protects all the organs that are inside. Some arthropods have very resistant exoskeletons If you have ever had to step on a cockroach several times to kill it, you know the 'phenomenon' of strong exoskeletons. Unlike common belief, venom is not a unique feature of arachnids Insects and arachnids alike have species with venom. Thus, the poison is not always as strong or lethal: it will vary depending on the species and individual. Perhaps the most common similarity between insects and arachnids is that most people find unpleasant . Both insects and arachnids tend to have strange and unattractive aspects by human standards. However, not all arthropods deserve the hatred of humanity . In addition to being a vital part of all ecosystems, most of the time insects and arachnids are completely harmless. 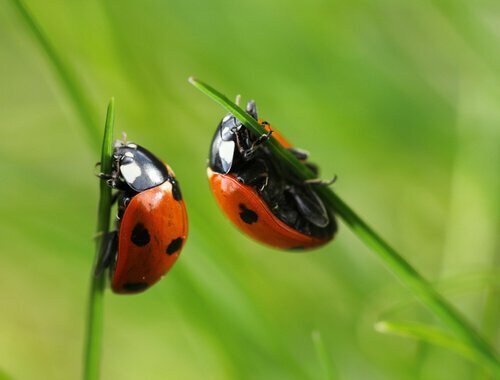 In this article you will find the general characteristics of both groups, and the key differences between insects and arachnids . Soon you will be able to clearly recognize any arthropods you encounter. Insects are the largest group within the animal kingdom, and today there are more than one million different species on the planet. Due to its morphological and physiological characteristics, insects have managed to adapt to almost any environment . Insects play a very important role in the life cycle of many species of insects. Plants . For example, insects help pollinate fields, as well as the most effective decomposition of organic matter. Over the centuries, insects have helped humanity to identify certain phenomena As people adept at the police series will know, the time of death of an individual can be determined according to the insects that are in his body. Unfortunately, insects can also be harmful to humanity . Many insects are carriers of diseases, such as the mosquito Aedes . Arachnids are a vast class of arthropods , within which several scientists have grouped more than 100 000 species . Although arachnids group scorpions, ticks, fleas and many others, the vast majority of arachnids are spiders. 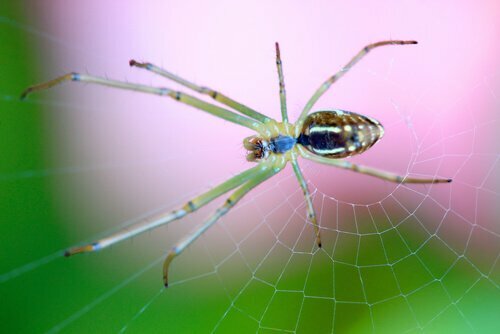 The name of the classification Arachnida comes from a Greek myth. According to the myth, Arachne was a beautiful weaver maiden, skillful as the arthropods that bear her name. Most arachnids are carnivores that prey on terrestrial insects.Here's a list of key differences between insects and arachnids. So you can recognize them at first sight. Insects are arthropods that have three pairs of limbs and one or two pairs of wings. On the other hand, arachnids are arthropods with four pairs of limbs, although they never have wings. Insects have jaws, whereas arachnids have chelicerae. While insects have antennae, arachnids no. The body of the insects is divided into three parts: the head, the thorax and the abdomen. On the other hand, the body of the arachnids is divided into a cephalothorax - head and thorax combined - and an abdomen. The blood of the insects is colorless, while that of the arachnids is bluish in color. Insects have compound eyes, like flies. On the other hand, arachnids have one to six pairs of simple eyes. This means that both insects and arachnids can observe in several directions at the same time, but their eyes do not work in the same way. The differences between insects and arachnids are very obvious once you know how to identify them It is important to remember that insects are a vital part of ecosystems . Thus, although many times they may seem irritating and unnecessary, life on the planet depends on them.